Something to celebrate! 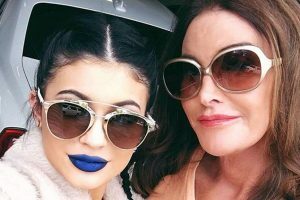 Caitlyn Jenner burst with pride over her youngest child, Kylie Jenner Opens a New Window. , at Stormi‘s first birthday party on Saturday, February 9. Kendall Jenner Heads to a Concert with Friends! Kylie Jenner Makes Top 10 Wealthiest Celebrities in America List!